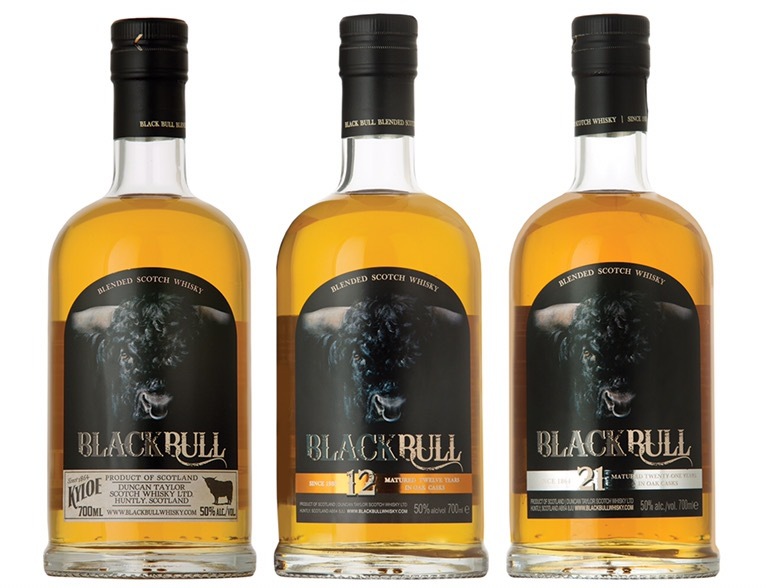 Black Bull is a brand of blended Scotch whisky that’s been around since 1864. However, there’s none of this 40% abv nonsense found here. Like it’s namesake, the strength is in the proof. All of their whiskies are bottled at 50% abv. When the brand was founded, it was made up of 50% malt whiskies and 50% grain whiskies bottled at 50% abv. That still holds true. Current owner Duncan Taylor has kept the tradition going. The core lineup is comprised of a non-age statement Kyloe, a 12-year-old and 21-year-old. The prices range from $30-$35 for Kyloe, $50-$55 for the 12 year, and $170-$180 for the 21 year. Three whiskies that seem to get better with age. Where else can you drink 21-year-old whisky at 100 proof for that price? I was so impressed after tasting Black Bull’s core range that I went out and purchased their limited edition 40-year-old whisky. Once I get around to that, you can bet I’ll share my experience with that expression! As for the subject of this post, the 12- and 21-year-old come with a very high recommendation, especially for the price. Black Bull Kyloe is fine, but I think I’d rather pay the extra $20 and upgrade to the 12-year. Thanks to Shand Imports and Duncan Taylor for the samples. As always, all thoughts and opinions are my own.